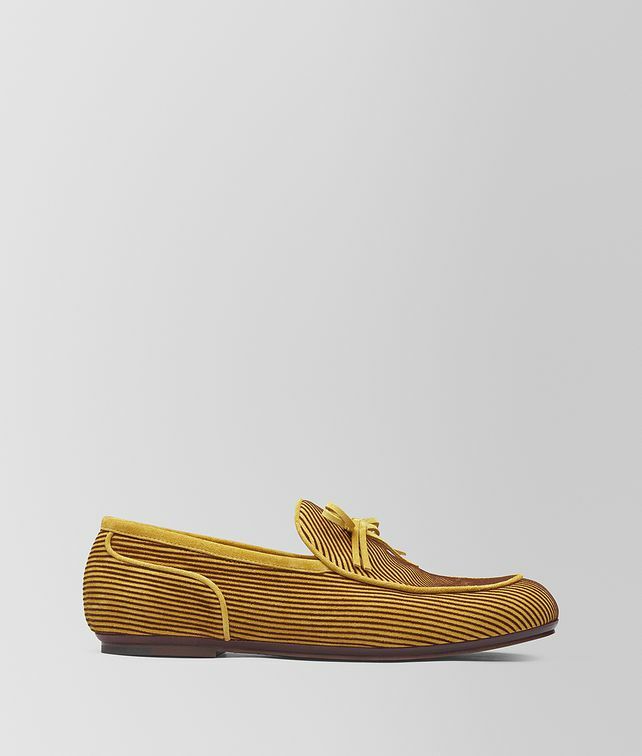 Inspired by indoor slippers from the 19th century, these loafers are designed to complement the season’s luxe loungewear sensibility. The pair are made from suede that is laser-engraved to have the appearance of corduroy—a surreal Bottega Veneta touch. The unique sole is crafted from two different layers of cuoio that are hand-stitched together. The smooth base layer is made in a hue that complements the upper, while the natural brown outer layer features graphic cut-outs and stitching. The sole is soft and flexible but suitable for outdoor wear. The style is finished with a suede lace and suede piping.